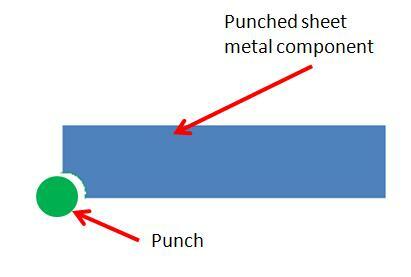 Sheet metal punching process is the process of removing part of the sheet metal by using punching press and punching tool. The only difference of it with the sheet metal forming lies in the tooling set up. So, by changing the tools any one of the operation can be performed from the same press. – Same machine can be used for manufacturing different components by changing the dies. – High equipment and tooling costs. Ideal applications: Suitable for making mass production of the sheet metal components. Ya learn smotehnig new everyday. It’s true I guess!